Dean A. Biancavilla, AIA, LEED AP, has been with Holmes▪King▪Kallquist & Associates, Architects, LLP since 1993, and an Associate in the firm since 1998. Dean’s many areas of expertise have enhanced his numerous projects for our clients, including: military, local government, churches, housing, correctional facilities, public and residential. His project experience includes adaptive re-use, historic preservation, new construction, alterations, and renovations. Specific areas of expertise include historic materials for historic structures, research and grant application techniques, including experience with historic preservation tax credit programs and security systems for public and correctional facilities. 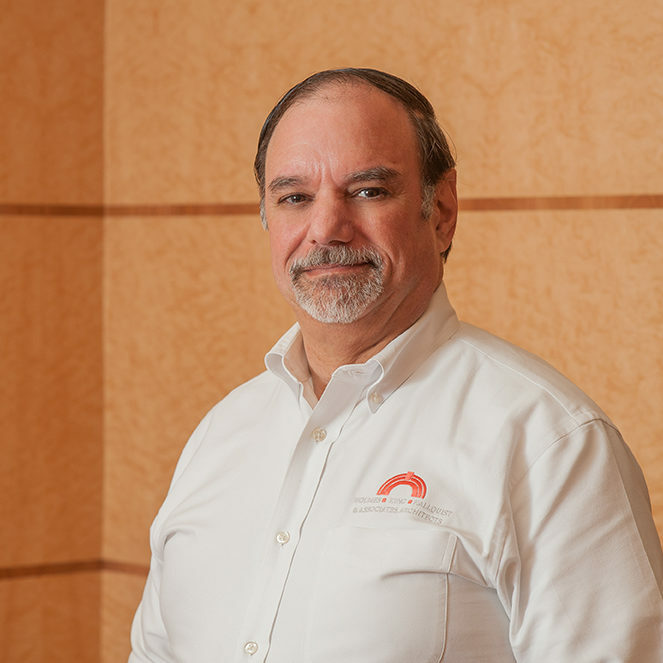 Dean is a qualified preservation architect under federal guidelines and has extensive volunteer experience and awards through the American Institute of Architects. HOW DOES OUR HISTORIC PRESERVATION KNOWLEDGE CONTRIBUTE TO HOLMES▪KING▪KALLQUIST’S OTHER PROJECTS?